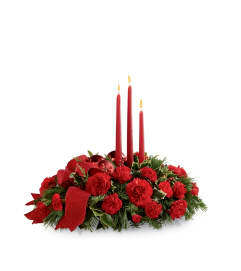 The FTD® Holiday Traditions™ Bouquet whisks your special recipient away on a sleigh ride of floral beauty and Christmas cheer! 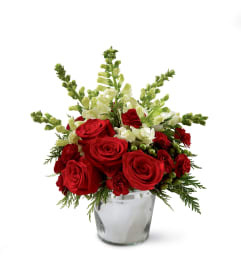 Rich red roses, bright red carnations, white statice, white cushion poms, holly stems and an assortment of lush holiday greens are brought together to create a simply stunning flower arrangement. 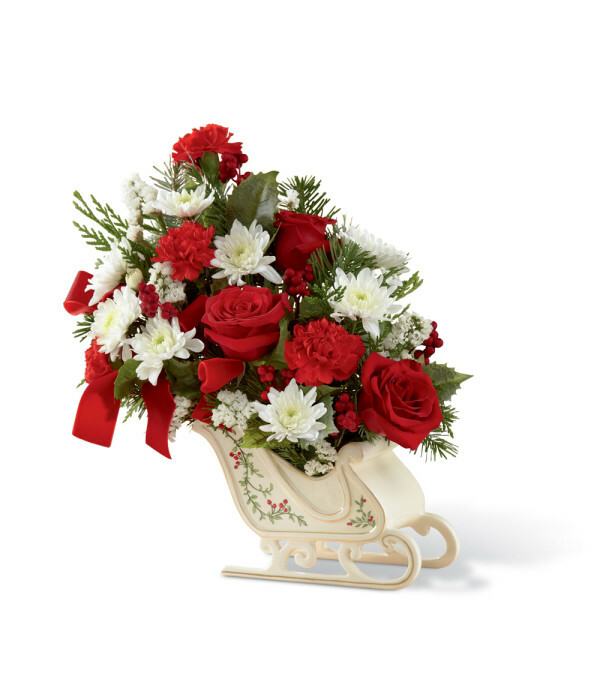 Presented in a keepsake cream ceramic sleigh with gorgeous holly accents painted on the side and accented throughout the arrangement with designer red ribbon, this holiday flower bouquet will express your Christmas wishes and warm sentiments with sophisticated style and charm.